This post is sponsored by Take Lessons.com. I received monetary compensation for this advertisement. 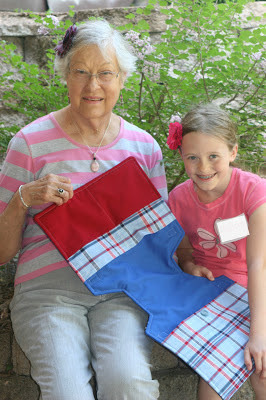 Today marked a change in not only her ability but also her enthusiasm for sewing. And WHAT sparked the transformation? Or better yet, WHO? 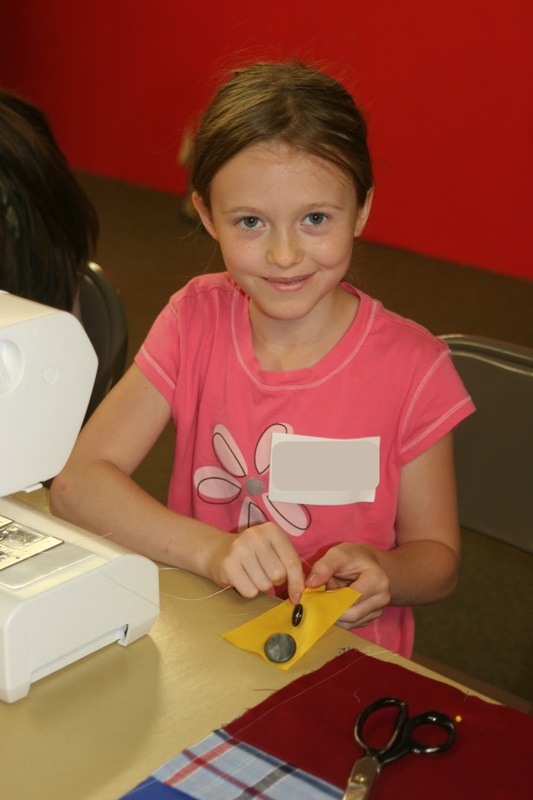 Pat is just one of a dozen or so women who graciously volunteered to spend over nine hours at a 2-Day sewing "camp" held by our church in order to teach the next generation of ladies to sew. Each of these senior sewers willingly submitted to the Titus 2 calling and chose to spend two summer mornings pouring into the lives of a handful of young ones. My daughter began those two days with hopes of coming home with some cute creations to give as gifts. But, in reality, she came home with so much more than that. She brought back passion and ability. It's funny that I should admit this. Because, as I just confessed, Sweetie Pea and I have been sewing together for a few years now. In that time, she has learned quite a lot. But no matter how much time we sew together, she will never learn all she needs to know about sewing from me. And the truth is, I'm glad for that. While I certainly don't believe "it takes a village", I do think there is a definite Biblical mandate for mentors. For tutors. 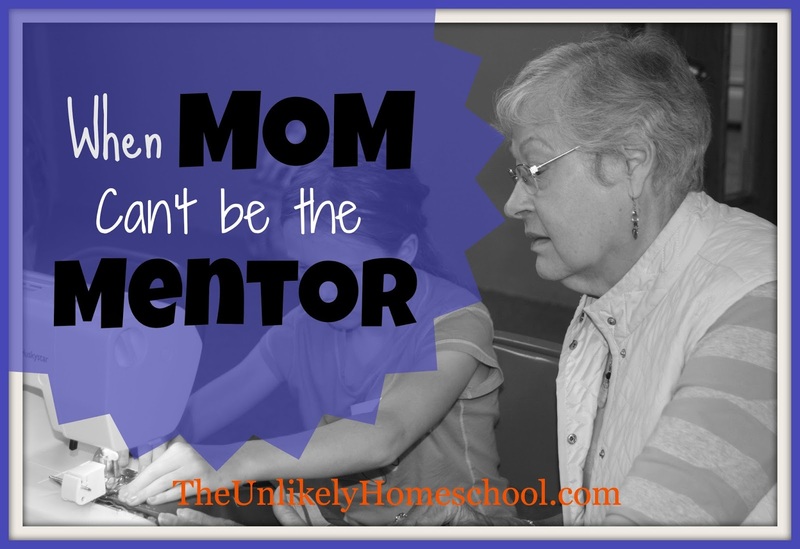 For teachers beyond just mom and dad. You're thinking that my words seem like a contradiction to the very premise of this blog...to the very reasons why I choose to homeschool. And maybe so. For the clearest picture, I look to Scripture. Consider Luke 1:39-56 that details a motherly mentorship between Elizabeth and her younger relative Mary. During a very complicated and bewildering time in her young life, why did Mary, the soon-to-be-mother of the very Son of God choose to seek the solace and wisdom of her relative Elizabeth and not her mother? While we may never know the answer to that head scratcher, I think there is evidence to show that this relationship was God-ordained and was used to brace Mary for motherhood. In the three months she resided with her older and very pregnant relation, Mary was able to witness first-hand the many necessary preparations that precede the arrival of a new baby. Although Scripture does not clearly state, we can assume from the timing, that Mary may have even been present to assist with the birth of Elizabeth's son, John. Nothing will prepare you for childbirth quite like seeing a live, unedited version right before your very eyes. I'd venture a guess that Mary's mother was NOT pregnant at the time and could not have orchestrated a more perfect hands-on motherhood "training" quite like prepping for and possibly helping to deliver a bouncing baby boy. All assumptions aside, God providentially placed Elizabeth and her pregnancy into the life of His servant Mary. There was something that Elizabeth could offer AT THAT TIME and for a SPECIFIC PURPOSE, that Mary's mother could not. And that brings me back to Pat. A finished walker bag made for a 90-year-old family friend. Pat, and so many others...Miss K the piano teacher, Christa the softball coach, the co-op moms/teachers, Mr. Mike the children's ministry assistant at church, Nana and Papa...have all been providentially placed in the lives of each of my children in order that FOR A TIME and for a SPECIFIC PURPOSE, they might play a roll in fostering passion and ability...that they might teach the things I can not...that they might invest, as Elizabeth did, in those God gave to me to "train up." As a homeschool mom, I don't need to "go it alone" assuming that I am the only one who can ever teach or guide my kids. On the contrary, I think it is Biblical for me to release the reins from time to time knowing that God has others woven into the "big picture" plan He has written for each of them. "TakeLessons makes it easy to find a safe, pre-qualified Music Instructor or Academic Tutor! TakeLessons connects students and families with private music teachers, arts instructors and academic tutors throughout the US. We've been in business since 2006, and have worked with over 30,000 students nationwide. Safety and quality are our priorities; every instructor completes an extensive interview, training, and an annual criminal background check. We assist with scheduling, initial coordination with the instructor, and billing - so all you have to worry about is enjoying your lessons! Your online student account also helps you stay organized with scheduling and billing tools. We provide In Home and In Studio lessons, as well as Online Lessons, which are a popular option for busy families - all you need is a computer with a webcam, a Skype account, and a good Internet connection. Cut down on commute times by taking lessons in the comfort of your own home!" There are over 30 lesson types available, including guitar, singing, piano, drums, violin, dance, acting, and academic tutoring. Lessons are available in-studio, in-home or online (via Skype). Lesson prices vary depending on location and length. 100% Money Back Guarantee. If you're not satisfied with your first lesson, TakeLessons will find you another teacher, or refund all of your original purchase price, including the first lesson. No long-term commitments - Switch your schedule, teacher or instrument type at any time. Teachers are available for all ages and all experience levels. "We provide In Home and In Studio lessons, as well as Online Lessons, which are a popular option for busy families - all you need is a computer with a webcam, a Skype account, and a good Internet connection. Cut down on commute times by taking lessons in the comfort of your own home!" For more information on finding a tutor in your area or on-line, be sure to visit TakeLessons. 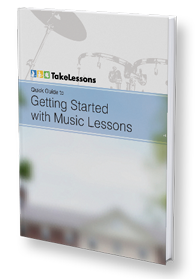 And while you're at it, grab yourself a free copy of their latest eBook, Quick Guide to Getting Started With Music Lessons. TakeLessons is offering a special bonus for readers of The Unlikely Homeschool. From now until July 6th, TakeLessons.com is offering 20% off music lessons or tutoring packages. 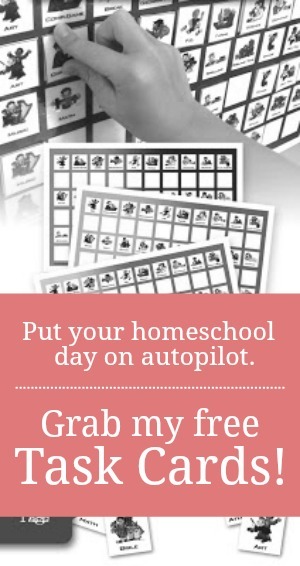 Just be sure to enter coupon code: Homeschool at your checkout to receive the discount. I agree! My son came home from Wed. school last year with a new fascination for birds because of what they had learned in school. I love when our children can glean from others and gain new interests! I think that, on some level, it does "take a village" to raise our kids. Partly because we're not raising them in a vacuum. I'm so thankful that I get to choose who my village is. It's all those people you said. The grandparents, sunday school teachers, friends with kids older than mine, my parents friends. That's MY village. I get to choose who is influential in my kids lives. Ultimately I am the one responsible before God for the way my children are raised, but I don't have to do it by myself. It makes me very aware and very choosy about my village.